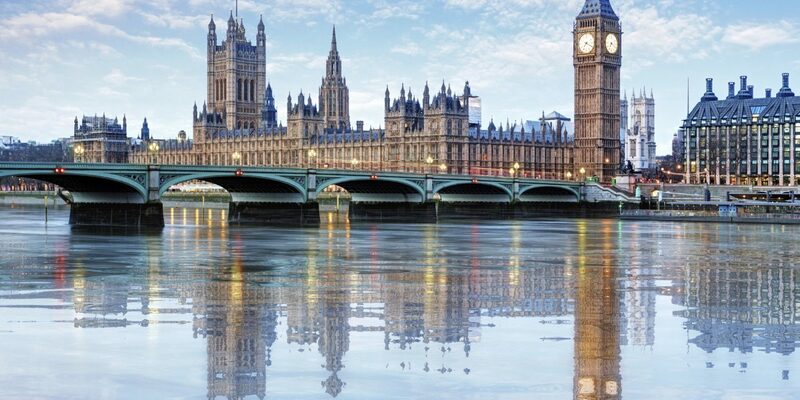 No city understands the life of luxury better than London, the official home to Her Majesty the Queen and various members of the British royal family including the Duke and Duchess of Cambridge. 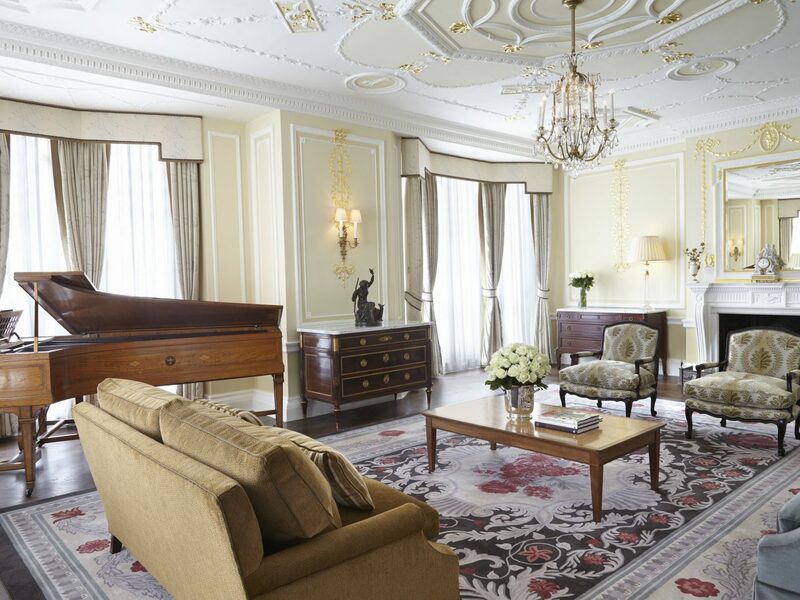 While you may never be able to bed down in Buckingham Palace, the most expensive hotel suites in London could certainly pass for a royal residence—at least for a night. 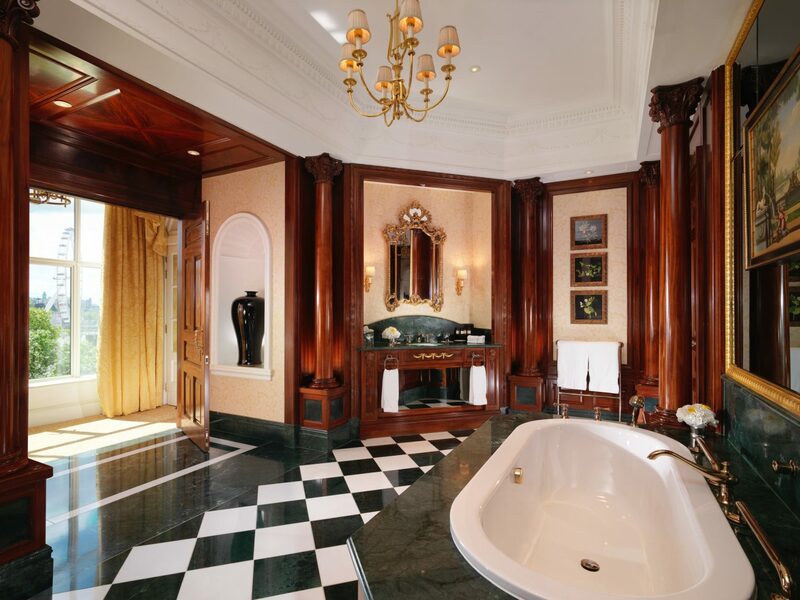 Here, 10 of the most over-the-top stays in town. 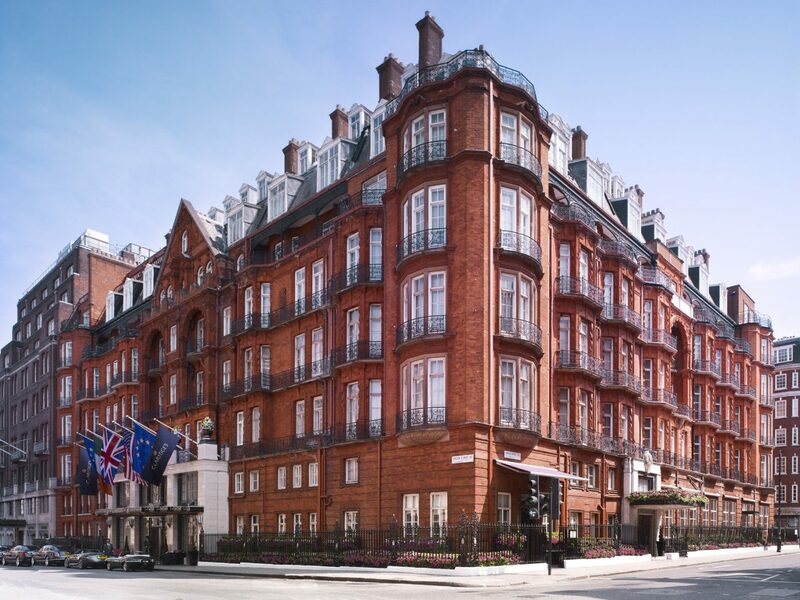 Like New York City’s Plaza Hotel, Claridge’s has assumed an iconic role in London hotel lore ever since it opened in Mayfair in 1856, housing many a billionaire, head of state, and royal family member. 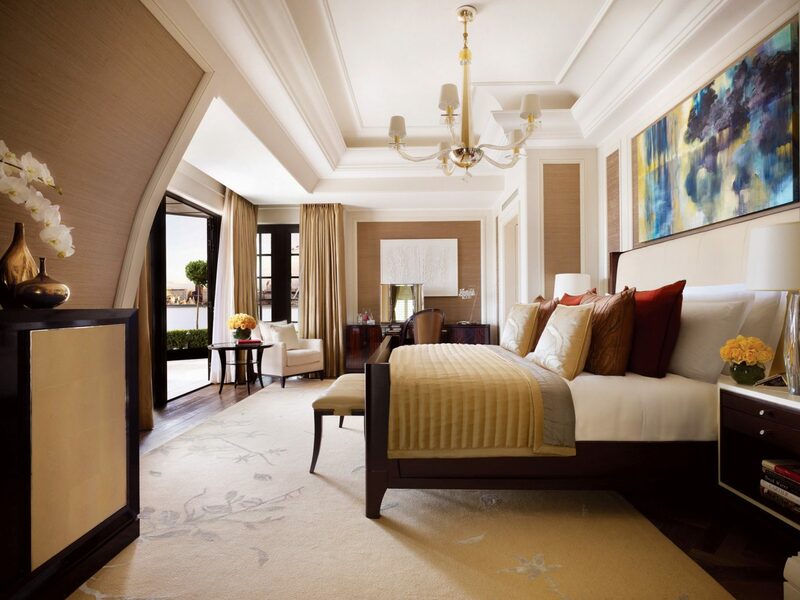 Of its three specialty suites, the 2,400-square-foot Regal-style Royal Suite stands out for its ample doses of drama. 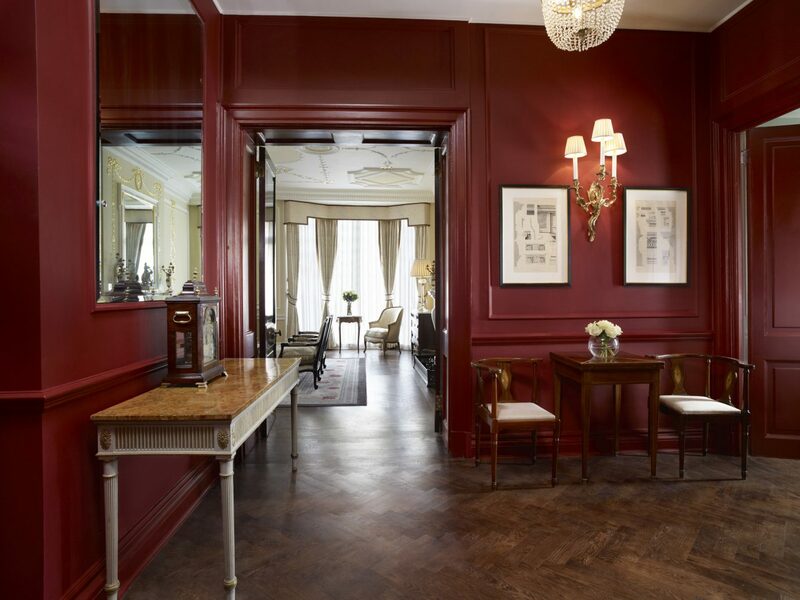 Guests convene in a deep-red reception hall lit by sconces, whose double doors lead to a 10-seat blue Victorian dining room covered in 19th-century French architectural prints and a living room complete with a grand piano previously owned by hotelier and composer Richard D’Oyly Carte, and two tranquil bedrooms. Cap it all off with afternoon tea (think finger sandwiches and little-known brews curated by tea connoisseur Henrietta Lovell) in the 1930s-inspired foyer, a Claridge’s tradition for over 150 years. 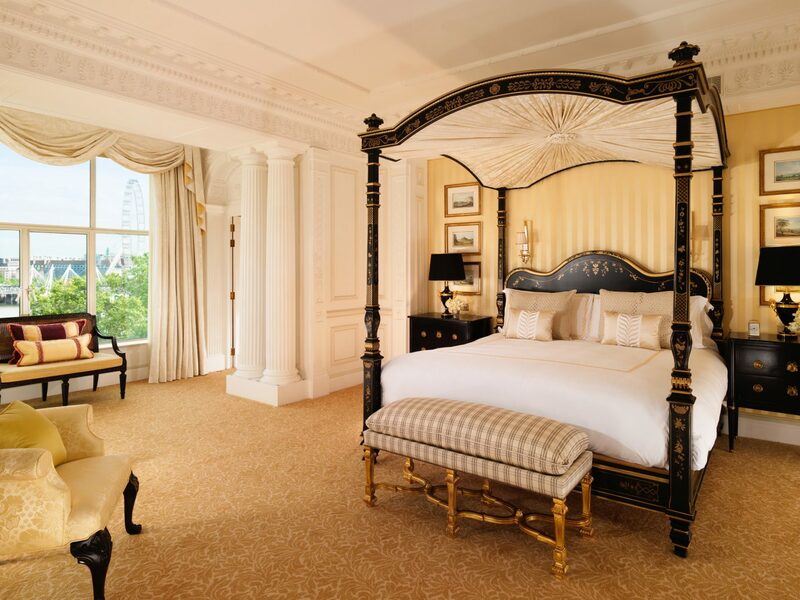 Luxury aside, the Intercontinental London Park Lane might possess the city's most royal pedigree. 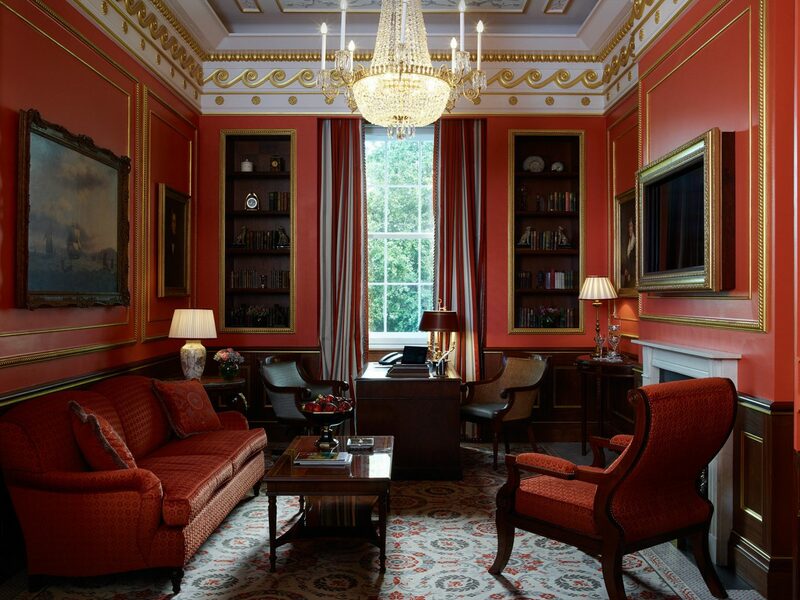 The hotel’s address (145 Piccadilly) once served as a childhood home for Queen Elizabeth II. 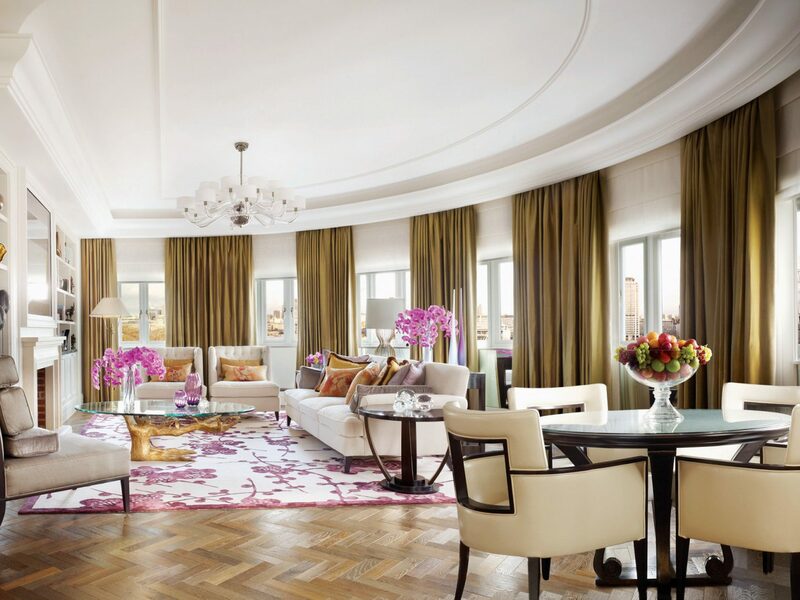 Naturally, the 8th-floor Royal Suite pays homage to Her Majesty: the hand-blown glass chandelier echoes her diamond collection, the toiletries are sourced from the Royal Family’s go-to perfumer, even the floral-lined satin canopy bed recalls the backdrops of her Cecil Beaton-painted royal portraits. 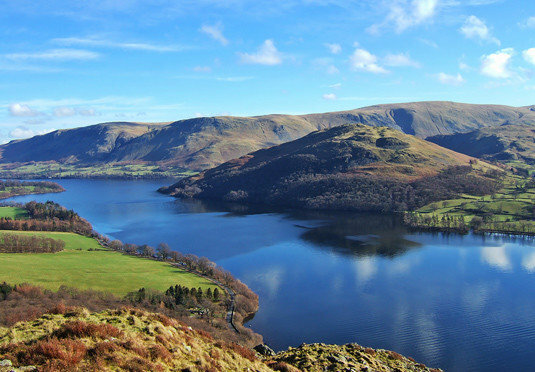 The many sketches of horses and corgis, the queen’s preferred dog breed, don’t go unnoticed—unless, that is, your eyes are fixed on the views of Knightsbridge and Hyde Park. 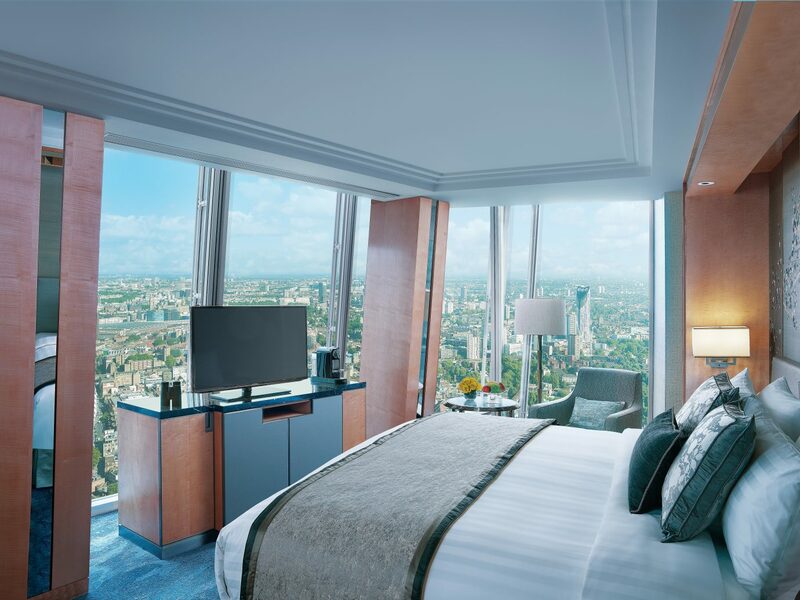 The Shangri-La Hotel at the Shard's Shangri-La Suite’s perch on the 39th floor of (currently) Western Europe’s tallest building secures the best view in town. 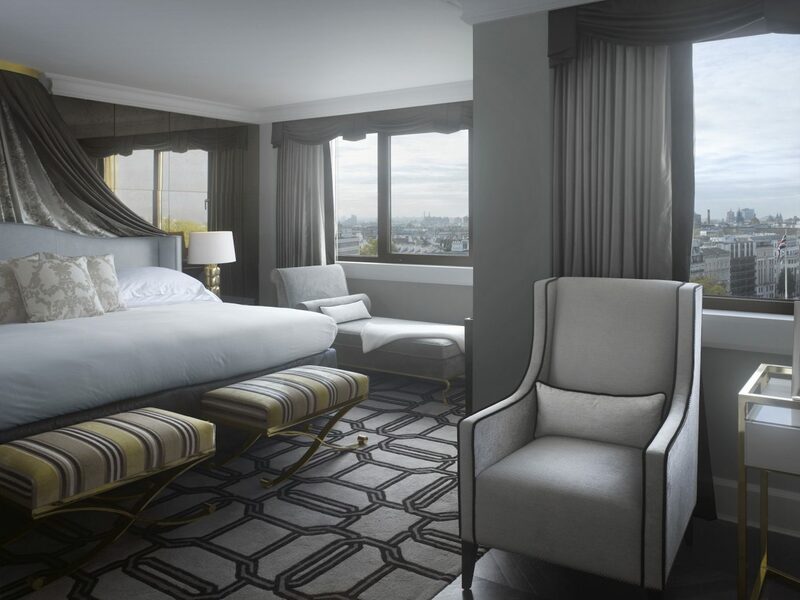 Lest you scoff at its lower-tier level (the Shard tops out at 95), know that its 2,023 square feet is far more spacious than the hotel's more tapered rooms that extend up to floor 52. 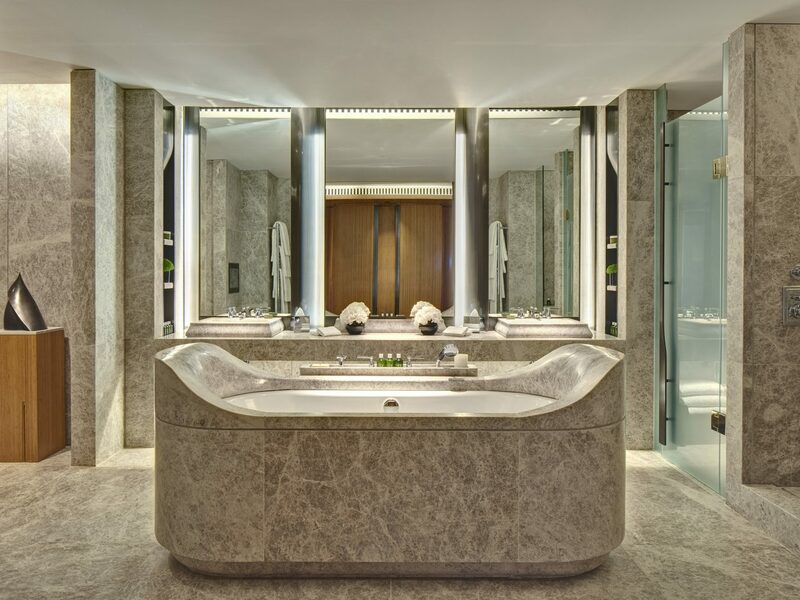 Enjoy sweeping scenes from Canary Wharf to the London Eye while luxuriating in your grand green-marble bathroom, drinking from crystal glassware and digging into tailor-made meals prepared by your private chef in the dining room, or kicking back on any of the chaise lounges scattered around the bedroom, which is done up with silk wallpaper, 1,000-thread-count Frette linens, and a walk-in wardrobe. 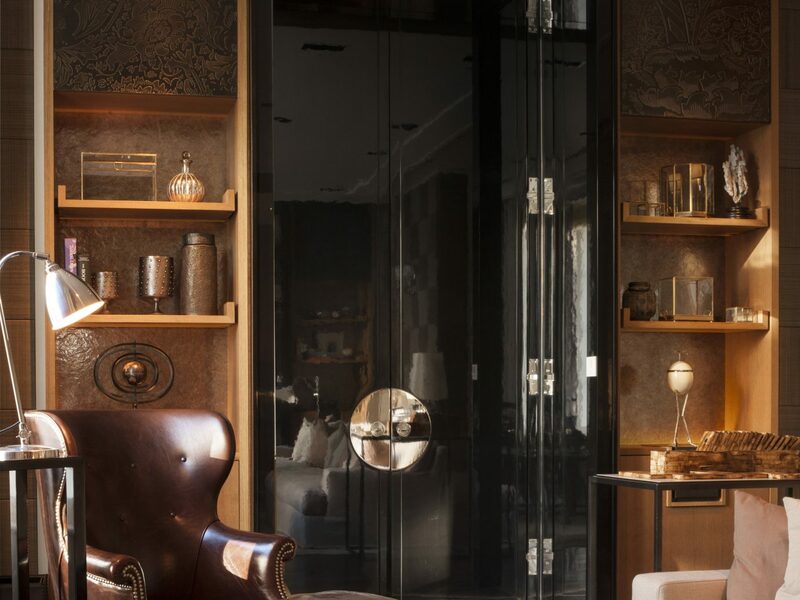 When you’re ready to hit the town, a private elevator awaits to deliver you to ground level. 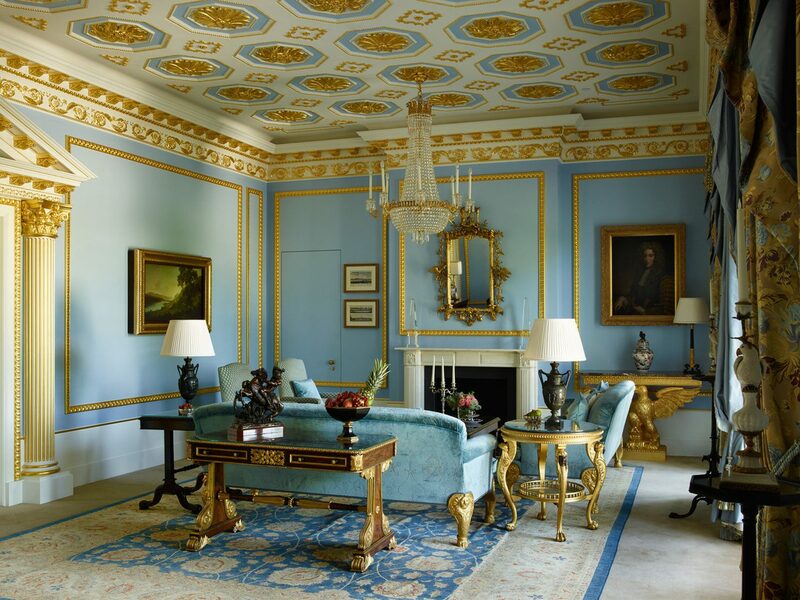 For those who book the Royal Suite inside London’s Lanesborough hotel, the sweet life begins the moment you disembark your plane (or train). A tail coat-clad butler awaits to chauffeur you by Rolls Royce Phantom to your temporary home, a 4,800-square-foot Regency-style residence where no detail was spared expense, from the enormous chandeliers to the 18th-century oil paintings that line the living room walls to the handcrafted furniture by Restall Brown and Clennell (the same designers responsible for 10 Downing Street, the Prime Minister’s official residence). 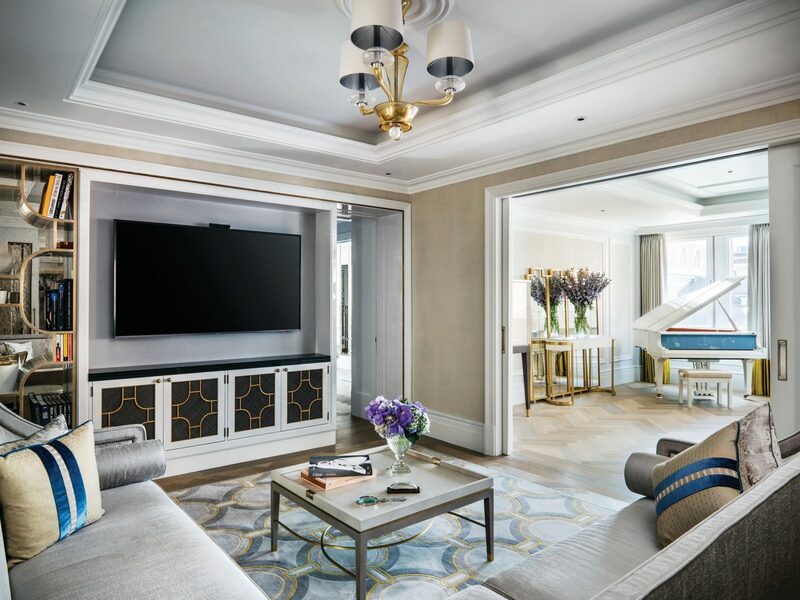 There’s two living rooms and a bathroom for each of the seven bedrooms, so you can primp in privacy before gathering for dinner in the 12-seat dining room, serviced via a galley kitchen with its own staff entrance. Art history buff? 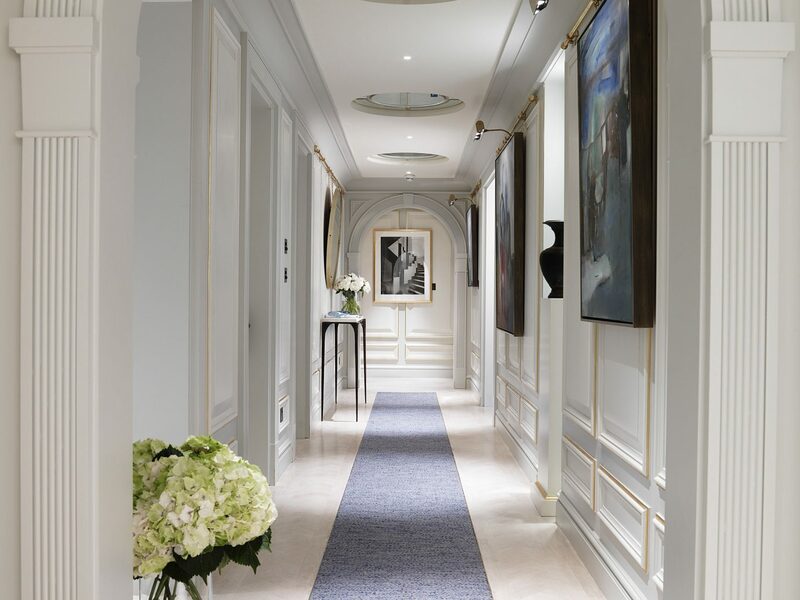 Keep an eye out for the three Sir Joshua Reynolds originals on your way in (or out) of the hotel. 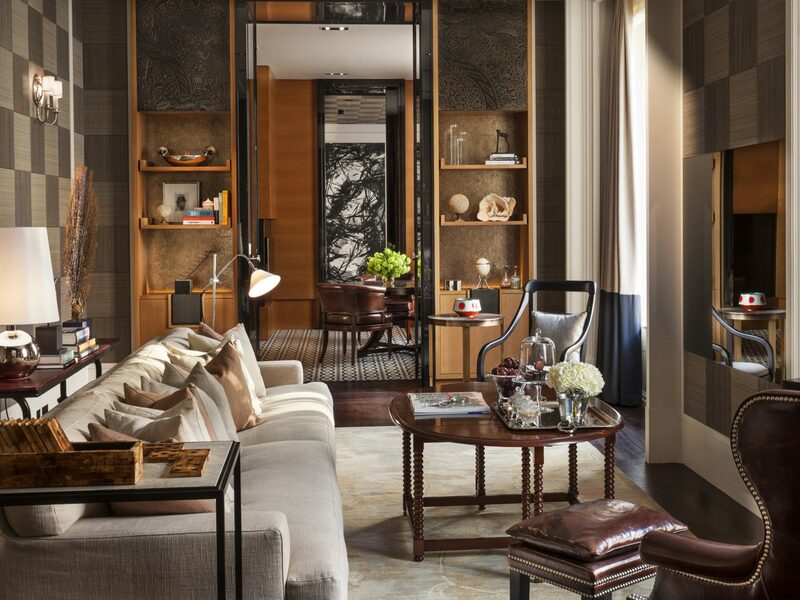 Hong Kong-based interior architect André Fu (also behind Hong Kong’s Upper House and Fullerton Bay in Singapore) looked to challenge preconceived notions of luxury when he designed the Berkeley's Opus Suite. 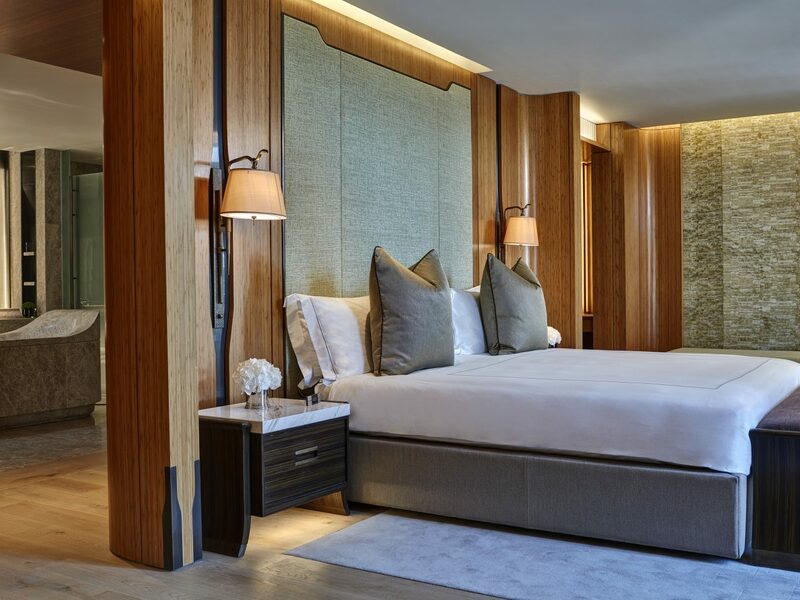 Sure, you can still expect a fair amount of space (2,992 square feet of it) and stunning views of Hyde Park and surrounding Knightsbridge, but classic opulence has been replaced with a kind of residential minimalism that’s heavy on textures (think bamboo-lined walls and hammered bronze). 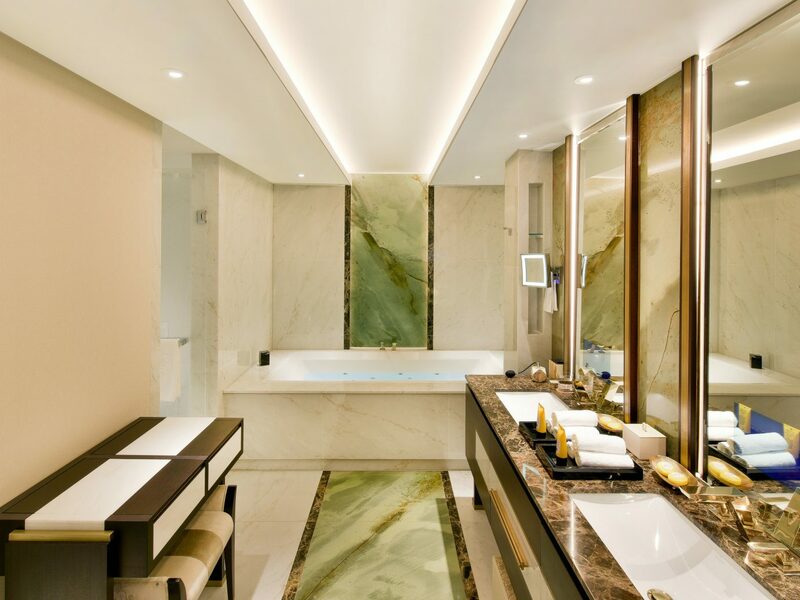 The artistic open-plan layout includes a spa-like bathroom whose freestanding bath was carved from a single piece of marble, six specially commissioned sculptures and wall installations add personality and emotion, and there’s a centerpiece kitchen where the hotel’s star chefs can be booked to cook 10-person meals. 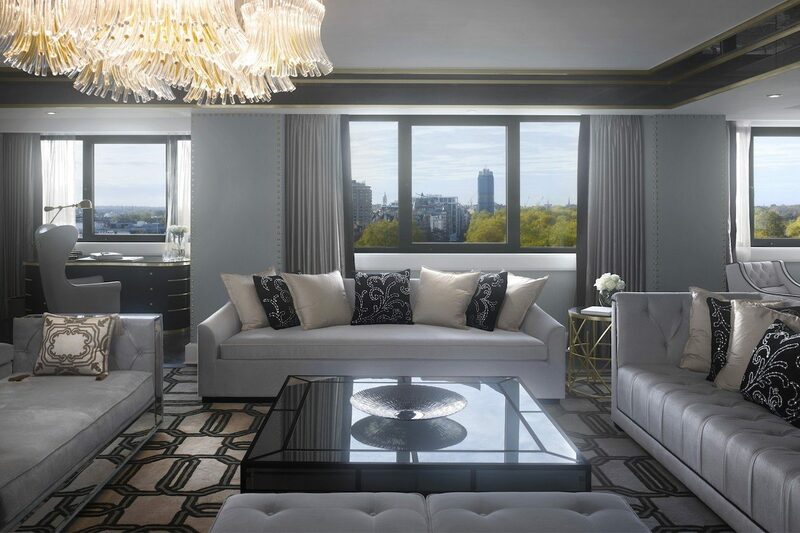 The Connaught’s penthouse suite, dubbed The Apartment, is fittingly homey. 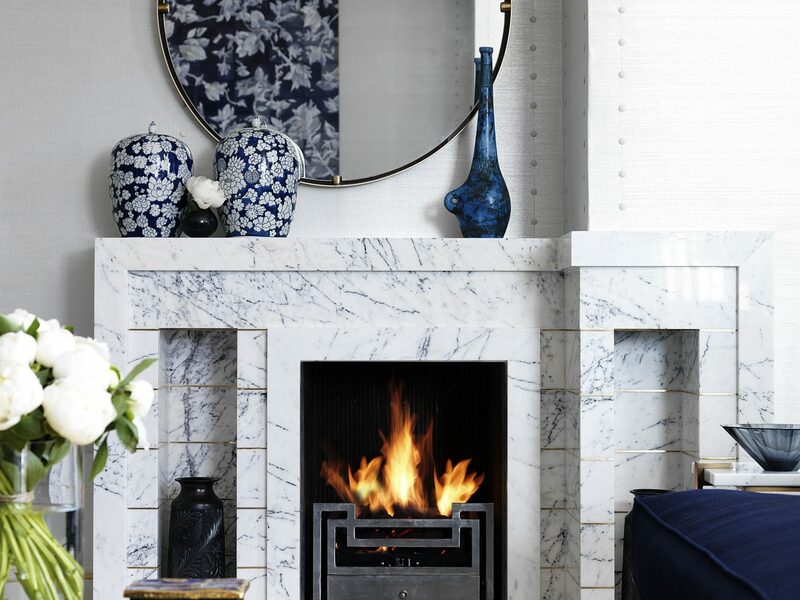 Late interior designer David Collins used a calming color palette of pastel blues, purples, and whites to evoke a sense of serenity the moment you cross the threshold, while pops of gold and brass (as in the inlay of the Art Deco marble fireplace) add a playful dose of glamour. 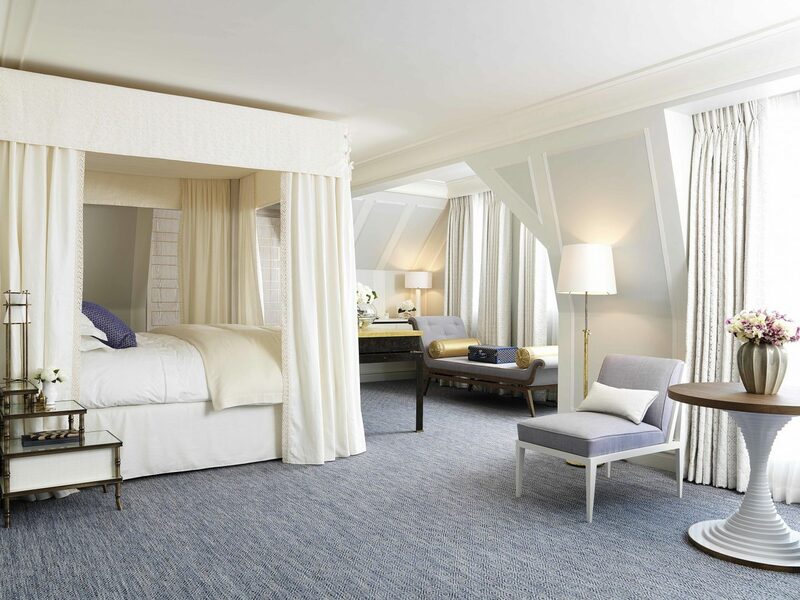 The master bedroom and sizable second bedroom make this base a win for families—Gwyneth Paltrow and Chris Martin holed up here with their kids during home renovations—while the chef’s kitchen ensures you can spend every moment between meals soaking up the views of Mayfair from one of two teak terraces or vegging out in the living room, whose vaulted ceilings and handcrafted velvet furniture are worthy of more than one afternoon spent in. 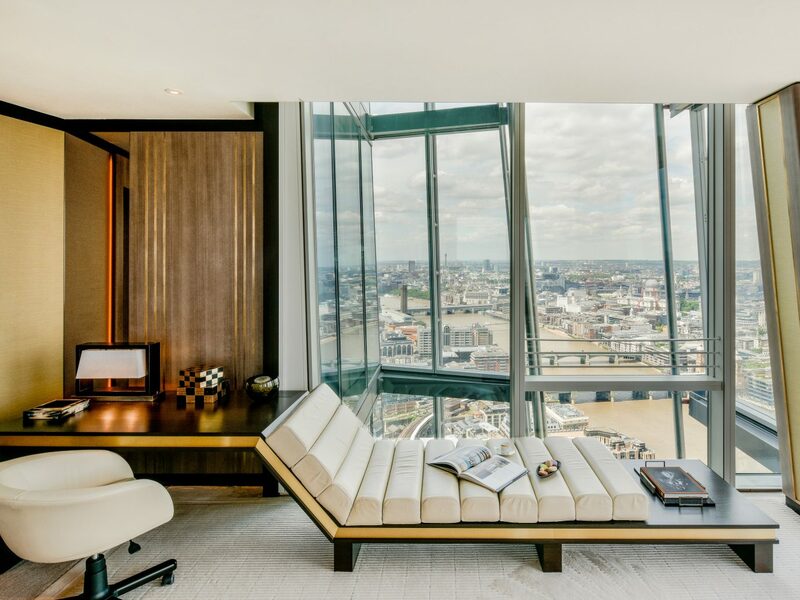 If you’re looking for views of the Thames without the vertigo-inducing effects of high floors, you’d do well by this splurge. 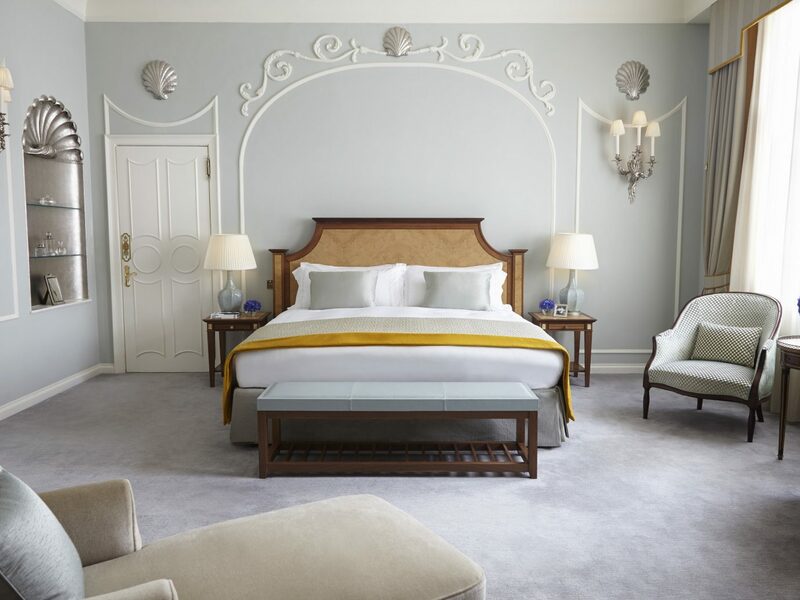 The Savoy’s lavish Royal Suite stretches the length of the hotel’s fifth floor, where every space from the bedroom (with its canopied bed and walk-in wardrobe) to the 12-seat dining room, lounge with private bar, and Morning Room (where breakfast is served from the adjacent private kitchen) is blessed with views of South Bank, Big Ben, and—count them—seven bridges spanning the river. 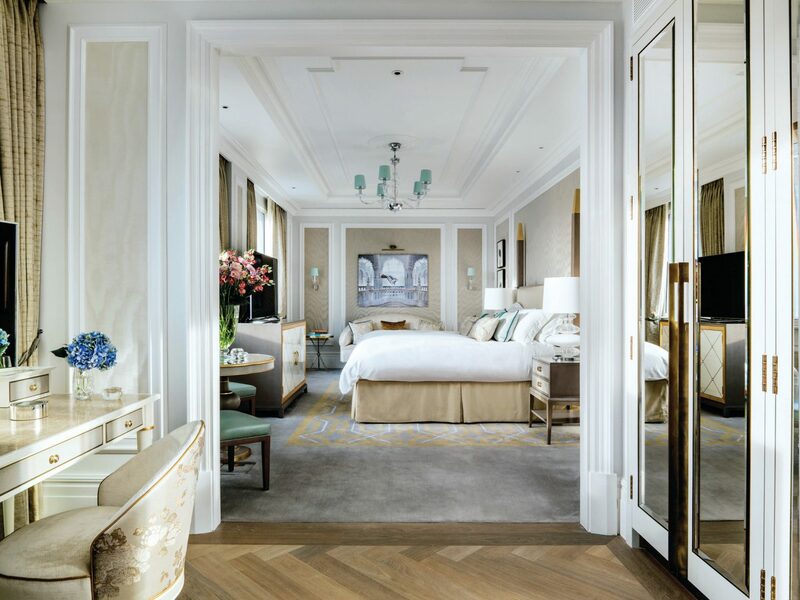 Because it’s one of The Savoy’s newest havens (it debuted in July 2016), the suite deftly manages to marry modern conveniences with a taste of the old world—think elegant ivory and gold interiors by Pierre-Yves Rochon mixed with Edwardian antiques saved from the hotel’s early days. 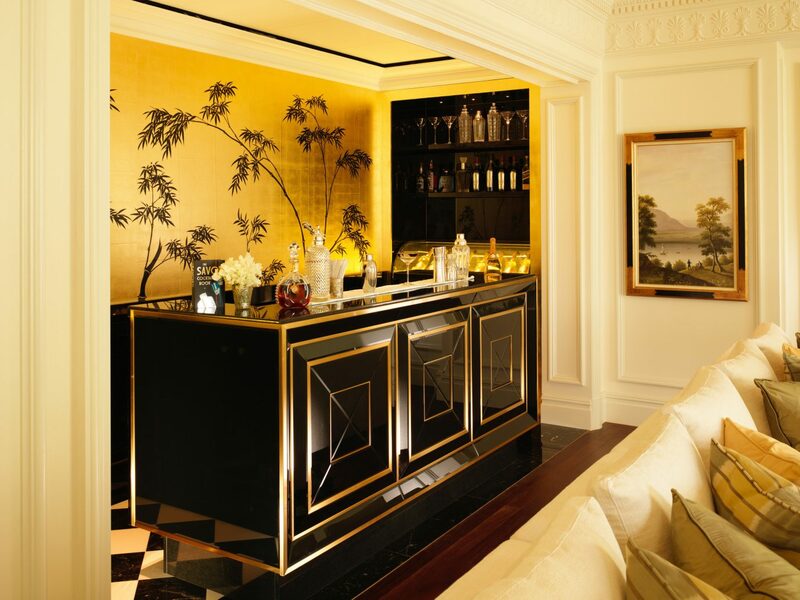 In addition to a 24-hour entourage (including a butler, concierge, chef, bartender, and personal stylist), Royal Suite guests are also treated with exclusive use of the Royal Circle, a private section inside in the American Bar—voted World’s Best Bar in 2017. 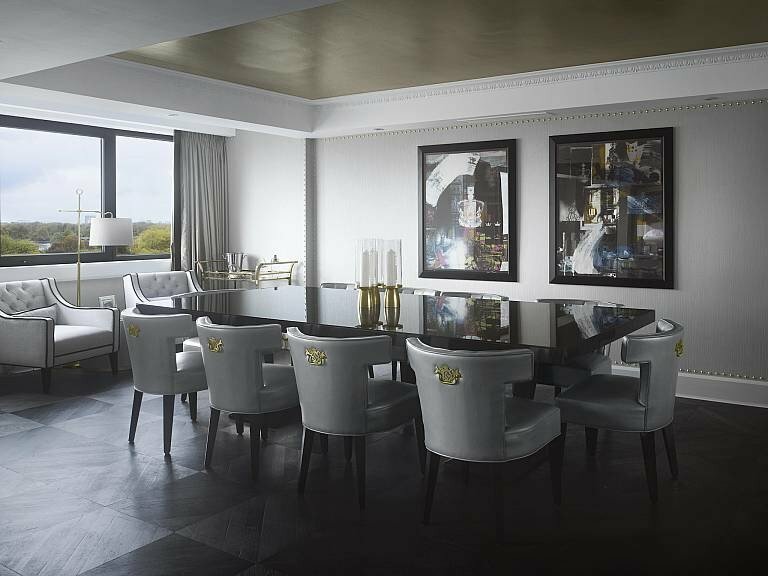 There’s lots to love about the Corinthia’s Royal Penthouse—and we’re not just talking about those views of Big Ben, St. Paul’s Cathedral, and the London Eye. 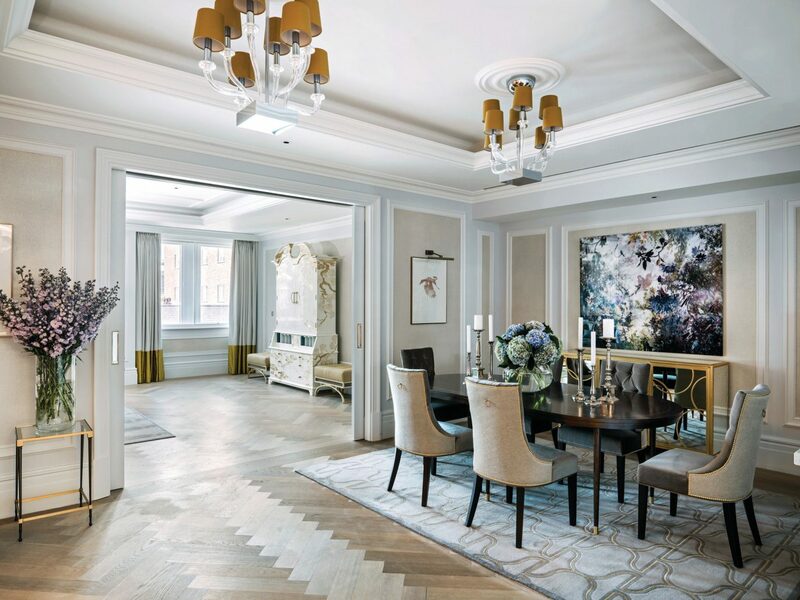 This 13-room duplex pulls out all the stops when it comes to extravagance (and for a cool £18,000 a night, it can all be yours). 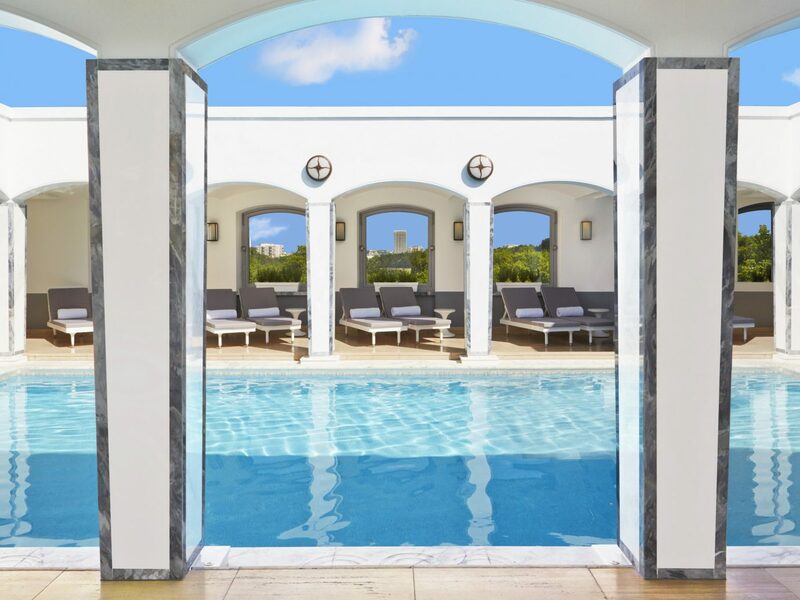 What the price tag buys you: the ability to impress your friends at every turn, from the marble entrance hall punctuated by a curvilinear grand staircase to the private spa suite to the walk-in wine cellar and 700-square-foot roof terrace with jaw-dropping 180-degree city views—all accessible via a personal elevator. 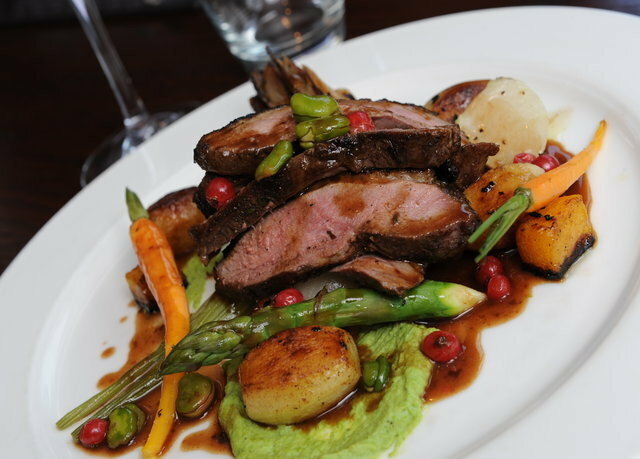 Factor in the flurry of butlers, cooks, and housekeepers that keep your stay seamless, and the price starts to feel justified. 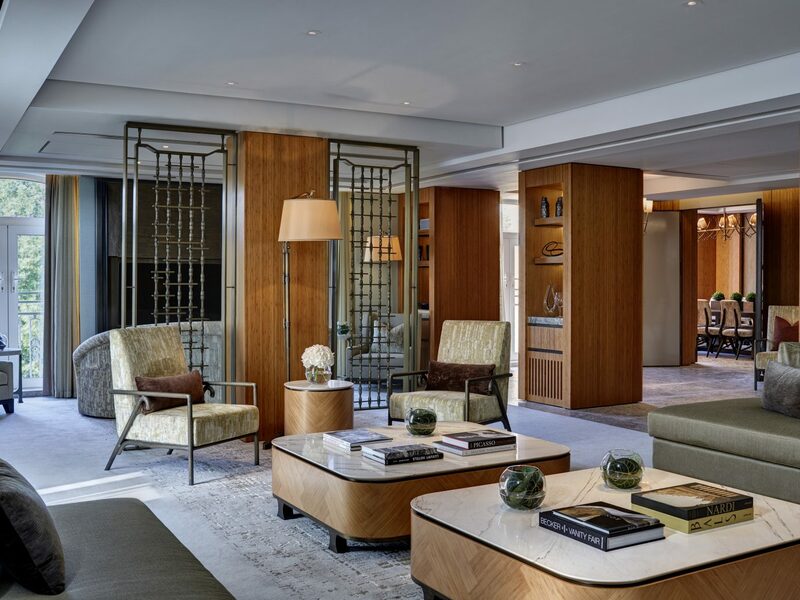 Only a substantial chunk of real estate earns itself its very own zip code, and that’s exactly what you’ll get when you book the Rosewood London’s Manor House Wing. (So if you plan on receiving mail, make sure your would-be admirers know what’s up.) 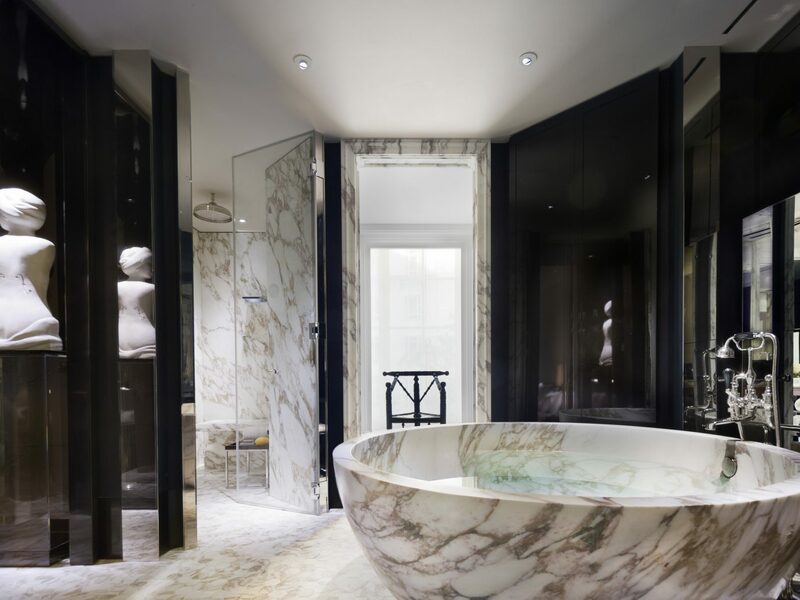 A private entrance and personal elevator (with dedicated doorman) delivers guests to the second-story suite, which sprawls over 6,295 square feet along a Holborn city block. 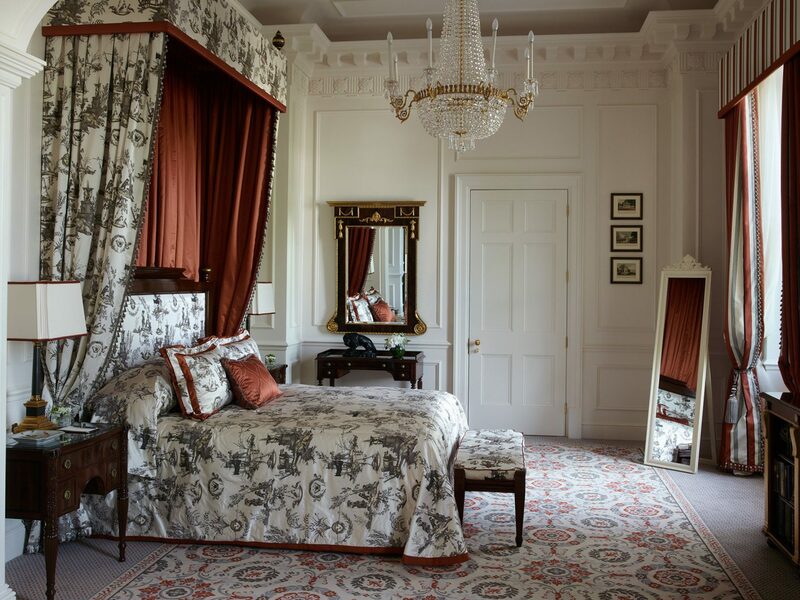 A single bed rings in at £9,000 a night, but if you rent the whole wing, here’s what to expect: seven bedrooms including a master bath with its own built-in TV and waterfall feature, three living rooms, a 10-seat dining room, a housekeeper (who enters via a separate service entrance), and all the trimmings and trappings a VIP can (and should) expect—think personalized stationary, business cards, pillowcases, and bathrobes, and a complimentary minibar and wine fridge fully stocked with curated wines and Fortnum & Mason products. 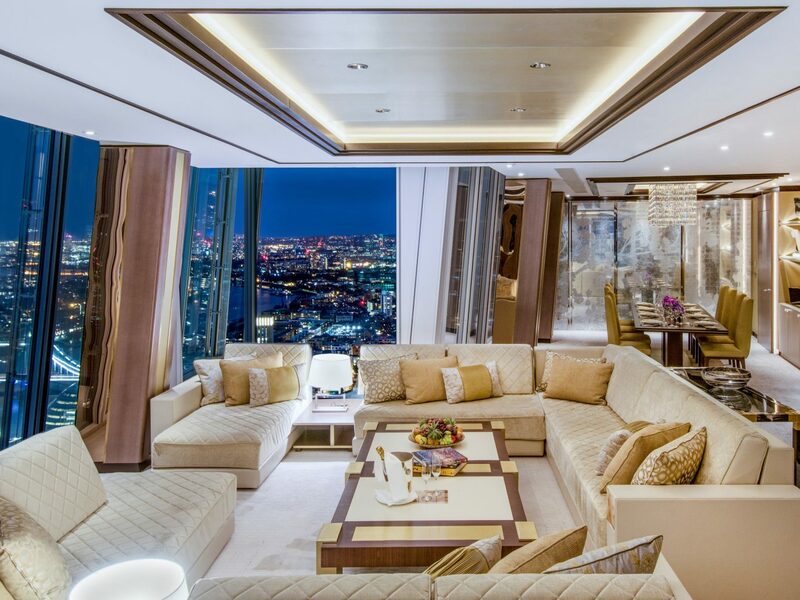 Clocking in at 10,225 square feet, Langham's Sterling Suite, London’s largest hotel penthouse, is all about showing off its massive digs. 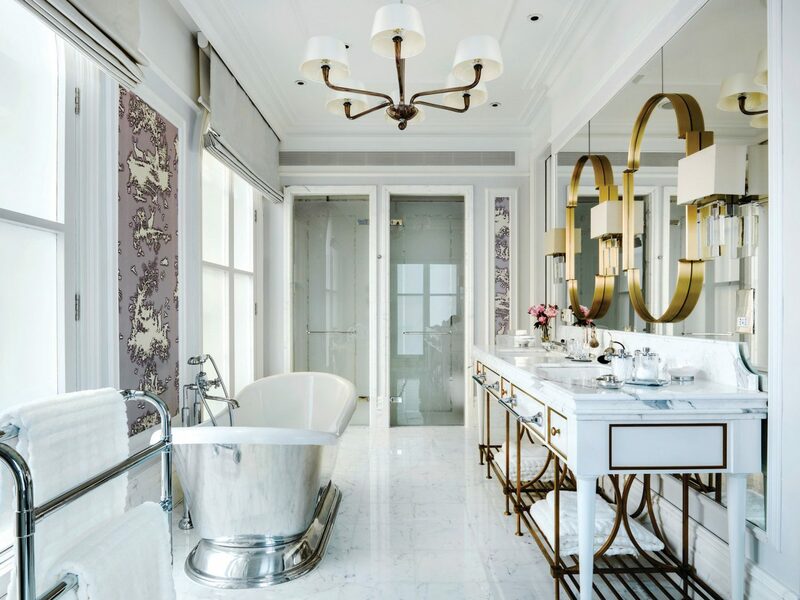 Of the six bedrooms, two include dressing areas and ensuite bathrooms with standalone tubs, while the master truly stuns with its hand-painted chinoiserie panels and hand-blown Murano glass light fixtures. 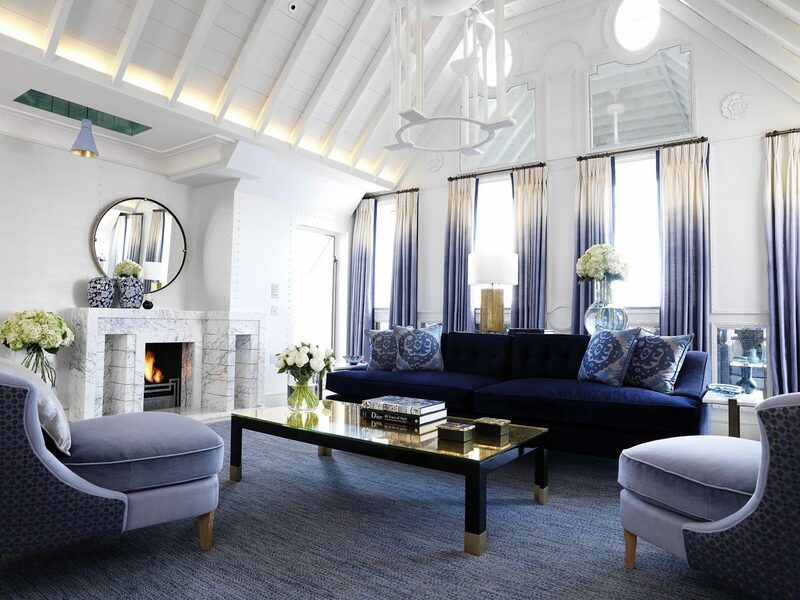 The living room is large enough to house a baby grand piano and a butler’s bar with room to spare, while the 10-seat dining room was made for entertaining, complete with an adjacent pantry for mid-day snacking. 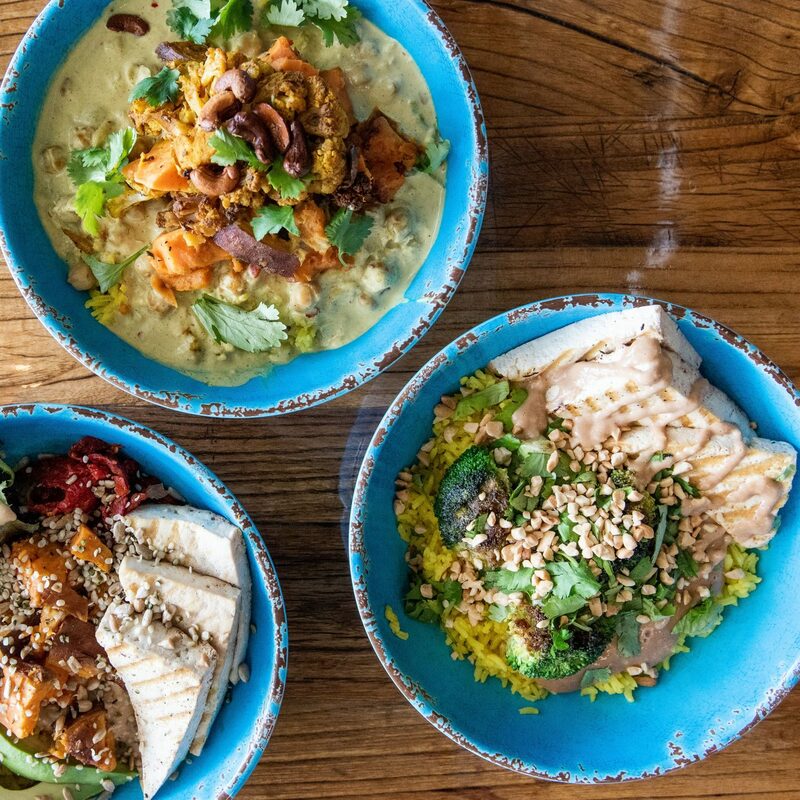 Want to throw a screening party? 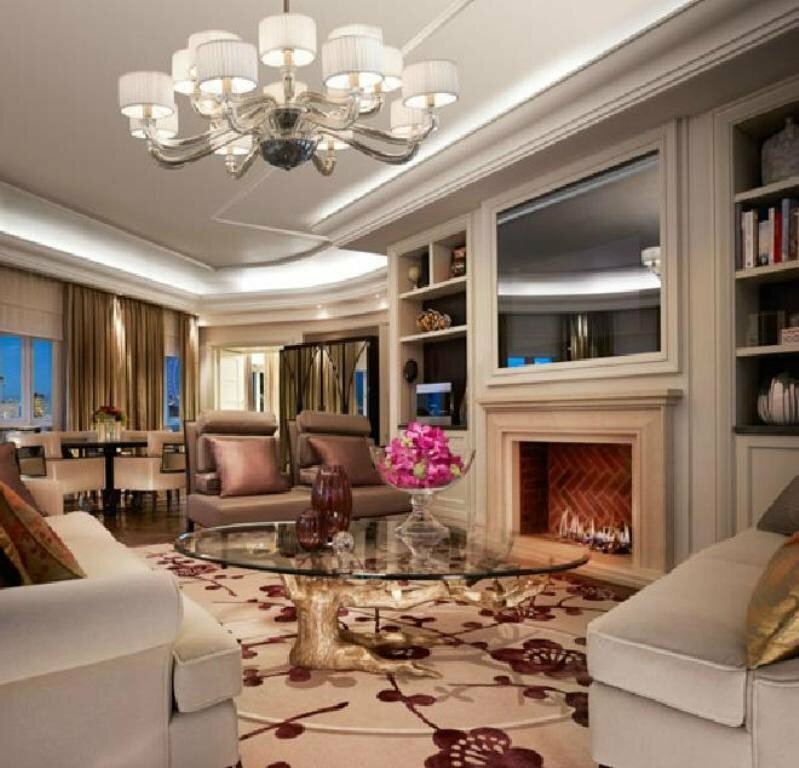 A media room is kitted out with a home sound system and 73-inch TV. Here for business? 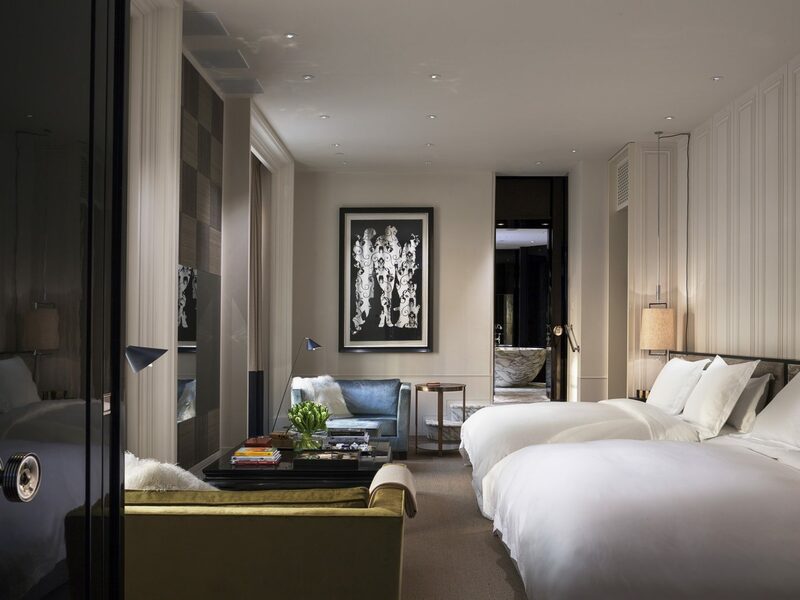 The price includes access to the Langham Club, which offers personal check-in and a full events space. High-profile guest? 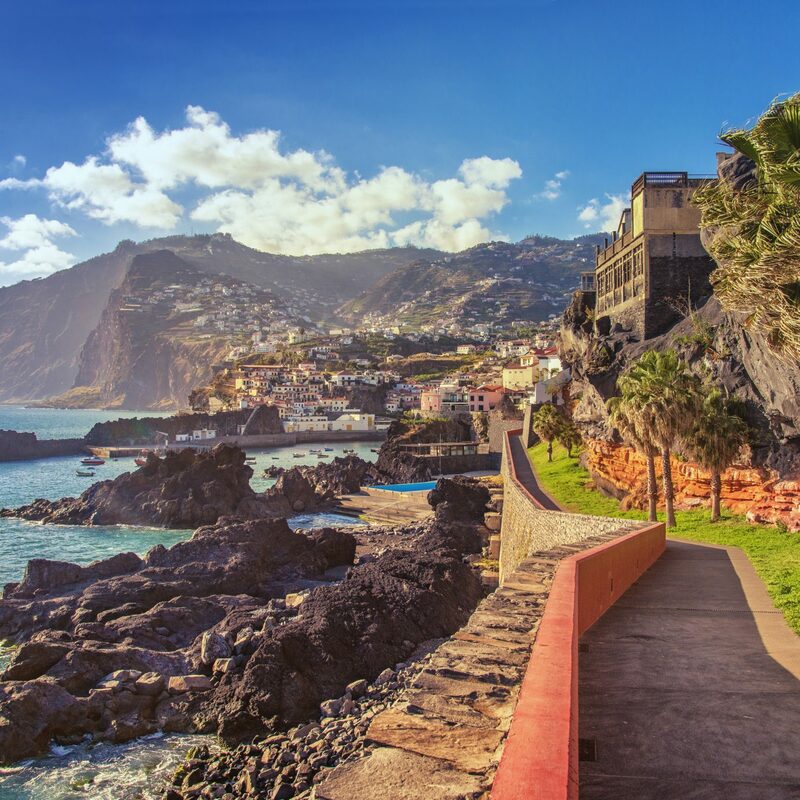 A private entrance monitored by security cameras means you’re in good hands.